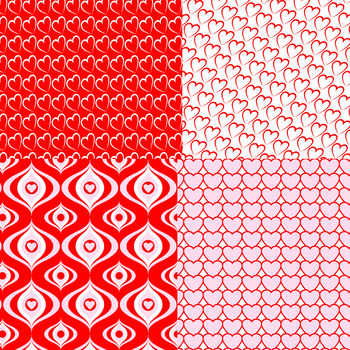 Printable digital paper for product page and multimedia backgrounds, TpT products, classroom arts & crafts or personal use. 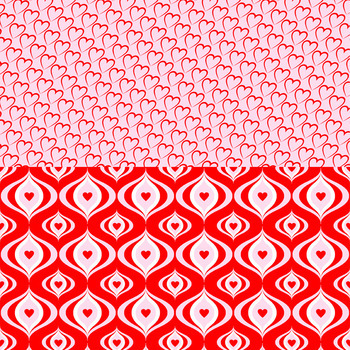 Red and white heart themed patterns are perfect for Valentines Day! 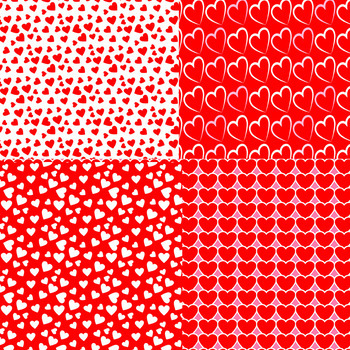 Find more heart/Valentine themed products here! Print colors differ slightly from from monitor colors, and vary from printer to printer - this is true of all digital products. 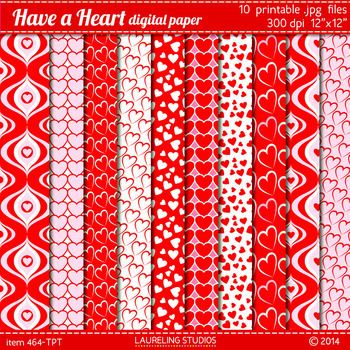 You can use these heart digital papers in educational products that you make for TpT (and other educational sites) by crediting Laureling Studios. Please read the full TOU before purchase if you plan to use clip art commercially -- it's in the product preview section of this listing or can be found here. Prefer to go credit free? Please purchase an extended license for $2. No credit required! Receive notifications of new products, freebies and upcoming sales.